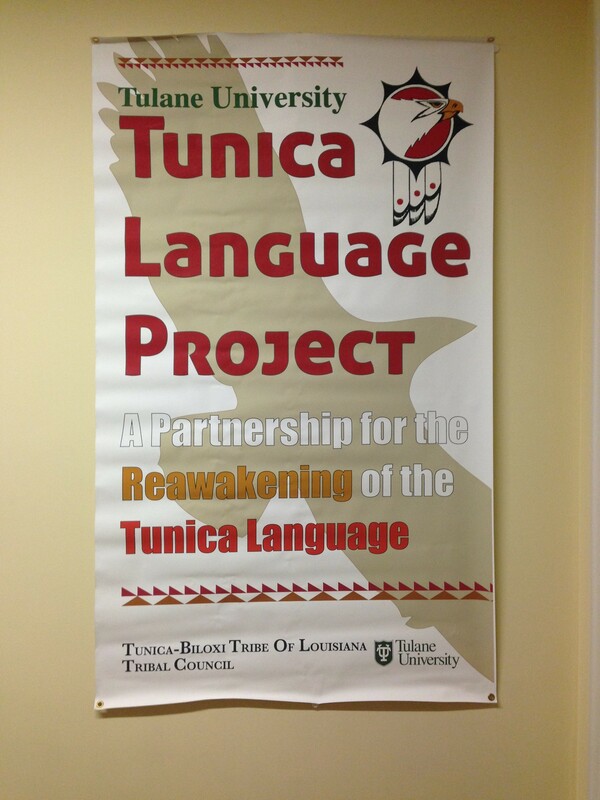 Welcome to the online home of the Tunica Language Project! 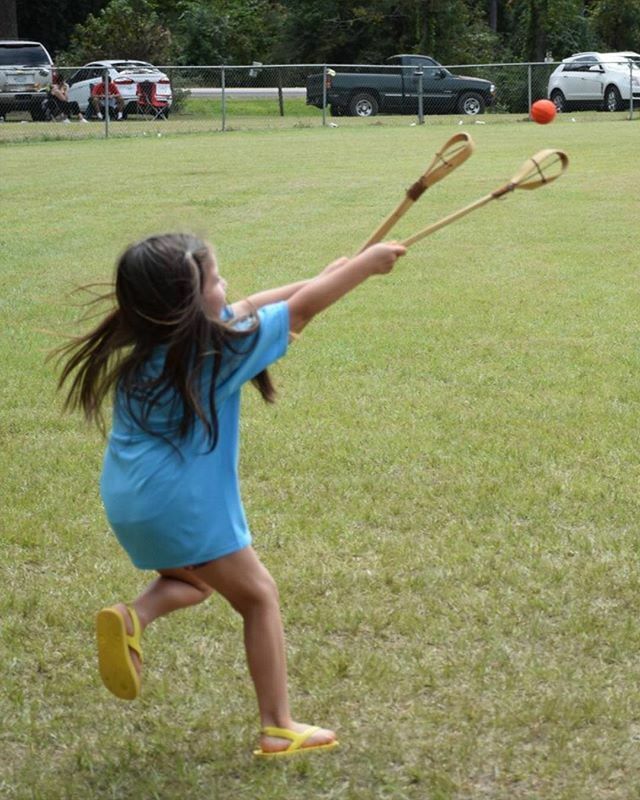 This website details the collaboration between the Tunica-Biloxi Tribe of Louisiana and Tulane University. Upon perusal, visitors may find a brief history of the Tunica people, discover available resources on the Tunica Language and read about the Tunica Language Project’s many collaborative undertakings, both ongoing and completed. The Tunica people have been uprooted a lot over the centuries. 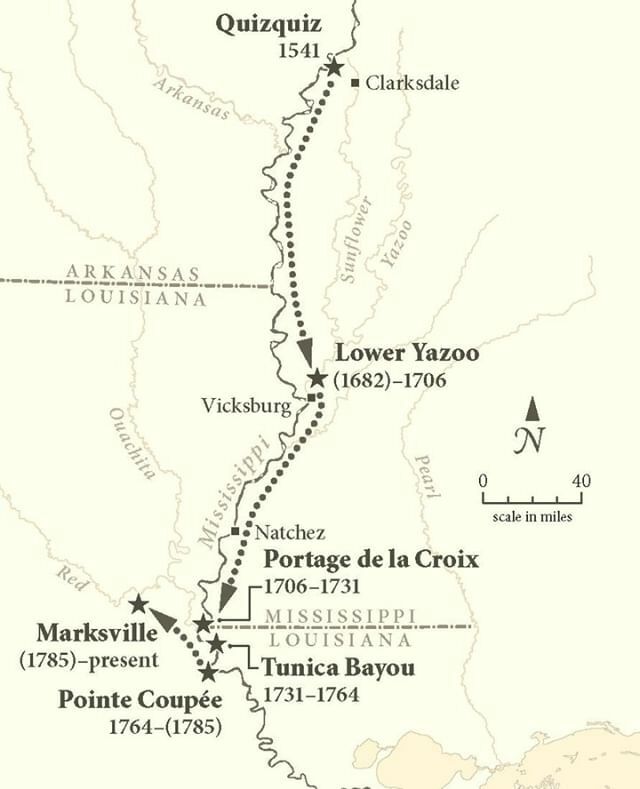 This map shows the migration of the Tunica people from Quizquiz in 1541 to Marksville, LA since 1790. Hinahkuch, tɔmahkamiliku, tɔmahka'ɔshtak'ɔman, hihchi ‘atepi lehpina'unihkɛni. Hinahkuch, tɔmahkamiliku nɛlahilawihch, ruwina panu yakatɛni, tihikatɛpan. Tɔmahk'ɔshtaku, hilanɛlawihch, yupahta panu yakatɛni, tihikatɛpan. Hinahkuch tayoroniku uhkonisɛman 'akuhp'ɔntahch, yuk'unpokatani, tihikatɛpan. Hinahkuhch, kaku, humara yawɛh'ihch, 'umiruhk'unani. 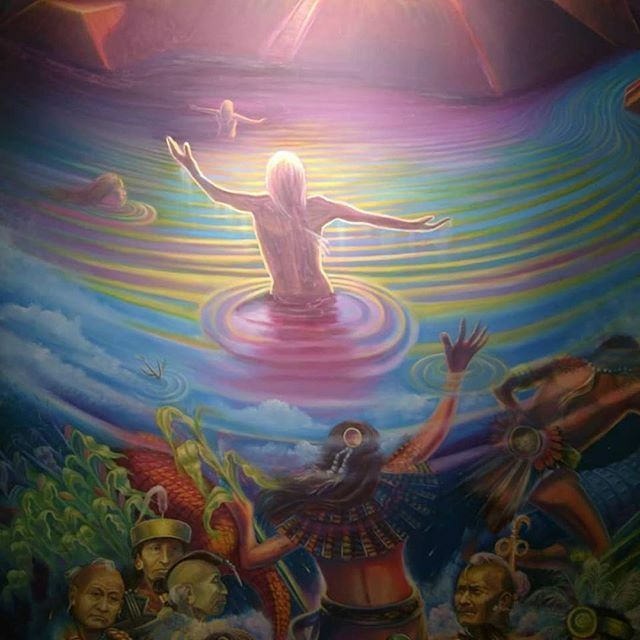 The Tunica emerged, it is said, from the mountain. Now a red alligator and a blue alligator lay side by side, it is said, closing up this place. Now when the red alligator rolled over, it would get very hot, it is said, every year. When the blue alligator rolled over, it would get very cold, it is said, every year. Now when the Tunica people assembled, they would go and look at the alligators, it is said, every year. Now if anyone should have not fasted, they would swallow him, it is said. The Tunica were merchants in the time of colonization. The Spanish and French would often barter with the Tunica for their horses, salt, and hides. Made from clay and crushed shells. The reason for the crushed shells was that the pure clay pots would burst in the intense heat. Designs were incised using shells and bones. 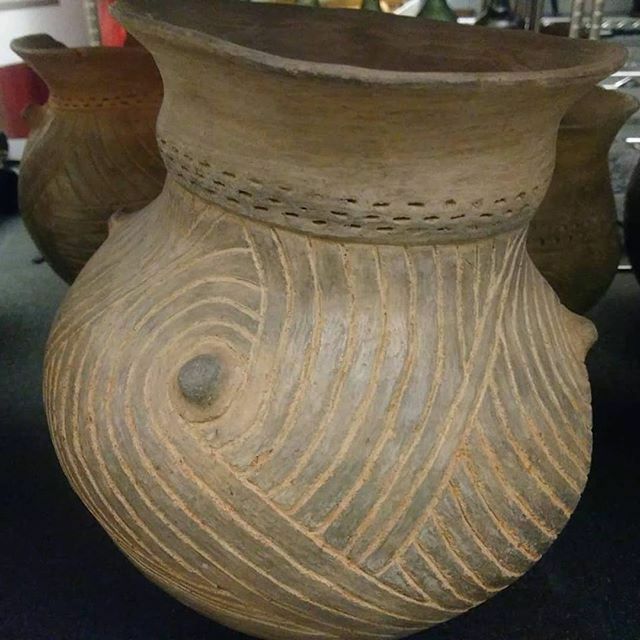 The process to make the pots is called Low-Fire Pottery. Southeast tribes would dig a shallow fire pit. They would line it with heat-deflecting materials such as ash, flat rocks, or sand. 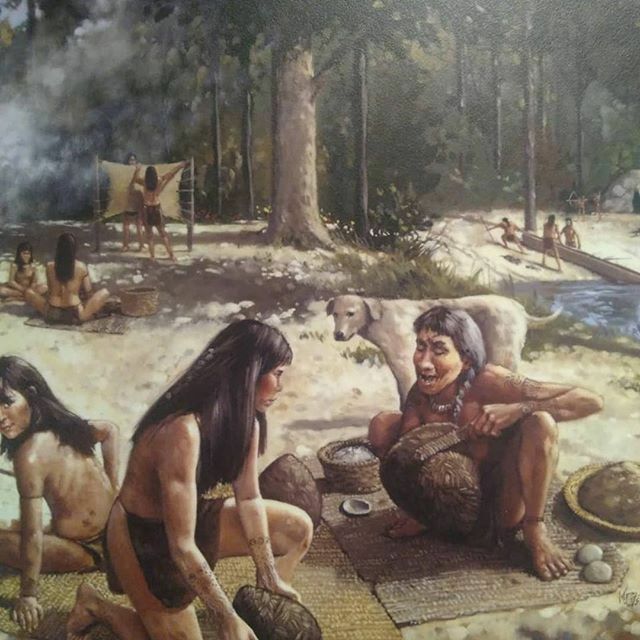 They would start the fire and line the pots on the edge of the pit, slowly moving them closer until they were directly in the fire.